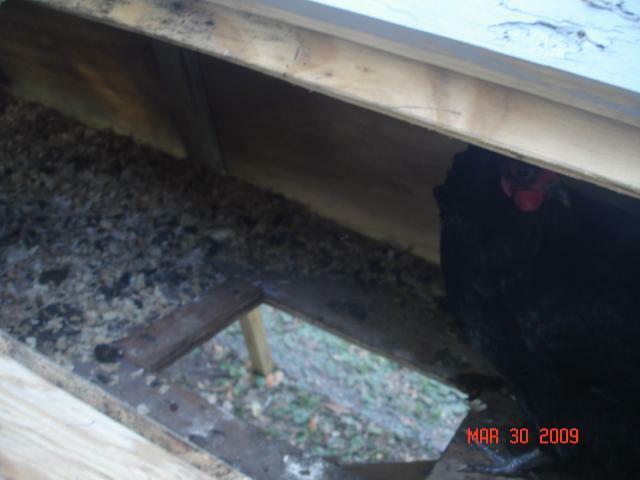 Here are pictures of a coop I built based on an online pdf file. It is very easy to build and very inexpensive, even with new materials. A key to success in any pastured poultry operation is to have a pen that is easy to move, lightweight, easy to build, and it has space for hens to lay their eggs and forage for bugs and greens. 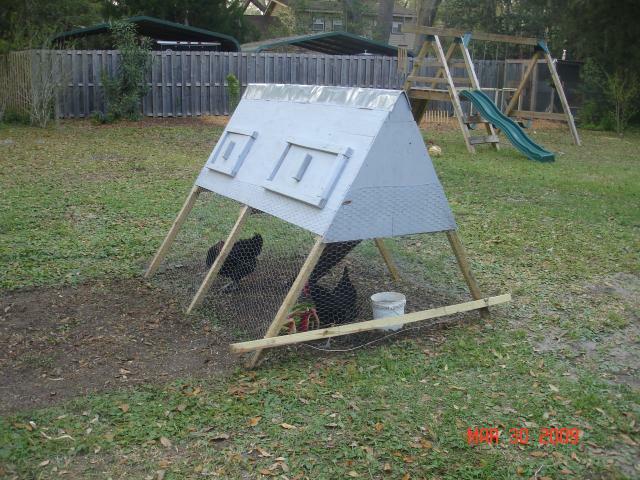 Recently I was confronted with a project to construct a movable chicken coop for our family flock of chickens. I had researched the subject many times before and I found a suitable design. The answer is a chicken ark. This is an A framed pen popular in Great Britain that has a tent shaped compartment in the top for the hens to sleep and lay their eggs, a ramp to provide access to the bottom where the hens forage on grass and insects. I found a pdf design on the internet: http://www.organicgardening.com/pdf/coop_plans.pdf. It was a little difficult to construct the angled frame but after that was over is was very easy to build the rest. I used a lot of new lumber but it can be used with old stuff if you have two sheets of 8×4 plywood available. It’s a pen six feet long, five feet wide at the base, and four and a half feet tall. These are the materials I used. The A frames are made from ripped 2×4s each cut with a 30 degree cut at one end and a 45 degree cut at the other. These were joined by a plate (2 for the middle A frame). Next I cut a ripped 2×4 into three 3 foot angled lengths which were used to screw the floor to. A six foot piece of plywood was screwed to the A frames to make one wall and then the floor piece was split and screwed into place. I left large gaps or slits on the sides of the floor to make cleaning easier. After the floor was in place and a hole 8 inches by 12 inches was cut; I attached the other wall. Two pieces of plywood were cut to to close the ends which was different than in the original plan. The ramp was attached with a strap hinge. 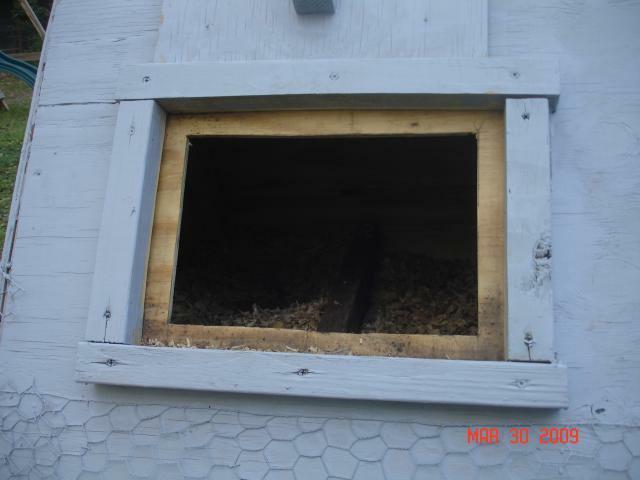 Two doors were cut into one side to provide access to the nesting area ( one piece of 2×4 separates this area) . One door is 8×8 and the other is 8×20. I stapled chicken wire all the way around the bottom and completed the pen by attaching the cable to the ramp. I did this by drilling a hole into the ramp and running it through two fence staples on the bottom of the pen instead of inside the top compartment. I lift it up at night when the hens roost in the top at night. I spread wood shavings in the top. This pen is moved daily with the assistance of two people. I plan to put 10 chickens in this pen. It is the best pastured poultry pen I have seen for the backyard producer and, which a little enlargement and the use of handles or wheels , it might be used for a larger operation. Good job on this. 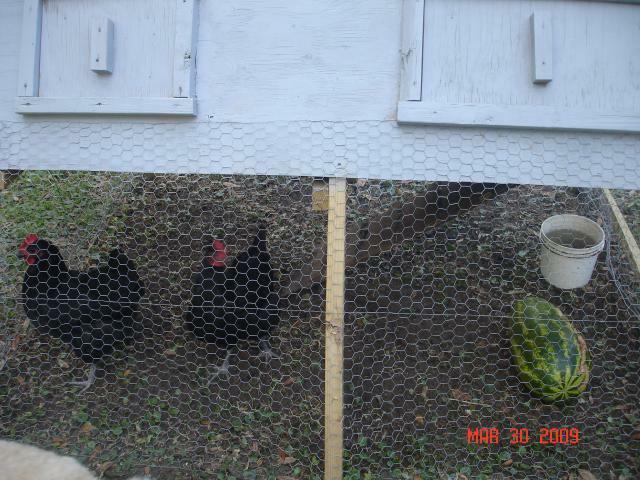 Funny how you can see in the picture where you have just moved the coop. 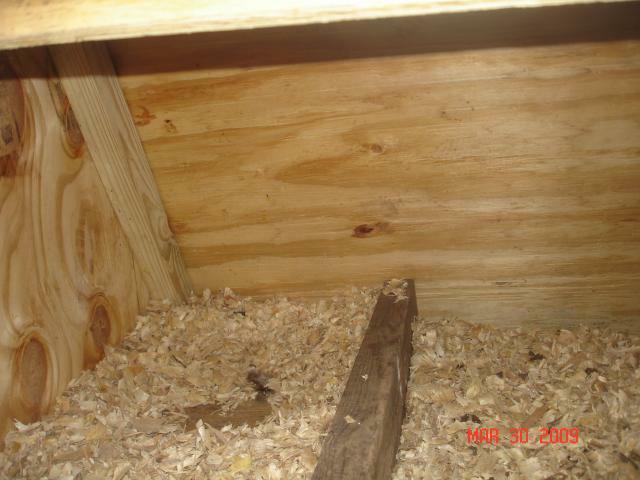 The cleaned away spot, where the coop just had been, is clear to see.